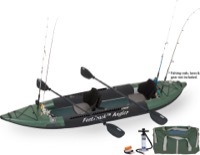 I bought the 385FT fast track angler about 4 years ago ( the older version) and loved it, always performed great and very convenient. The seams started coming apart so I contacted Sea Eagle customer support. 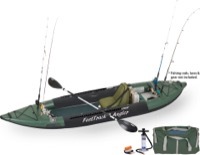 Even though the Kayak was out of its warranty period they replaced it with the new and improved 385FTA! 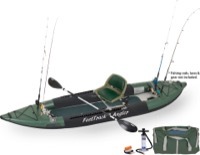 I believe Sea Eagle has the best product and the best product support hands down. Looking forward to many more years paddling.